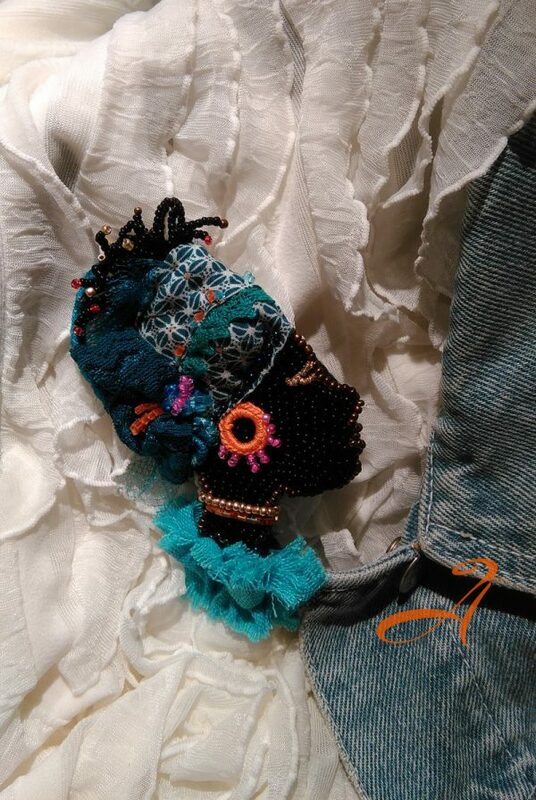 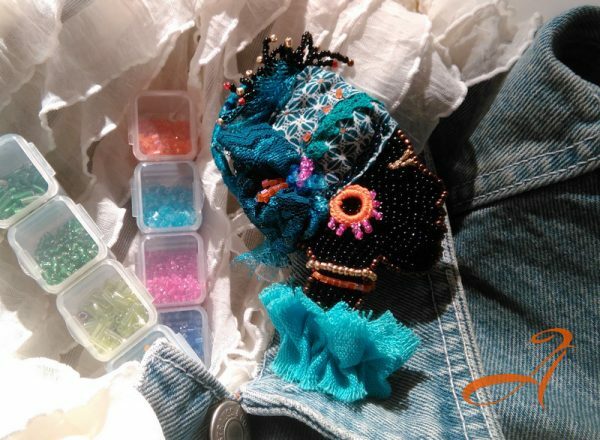 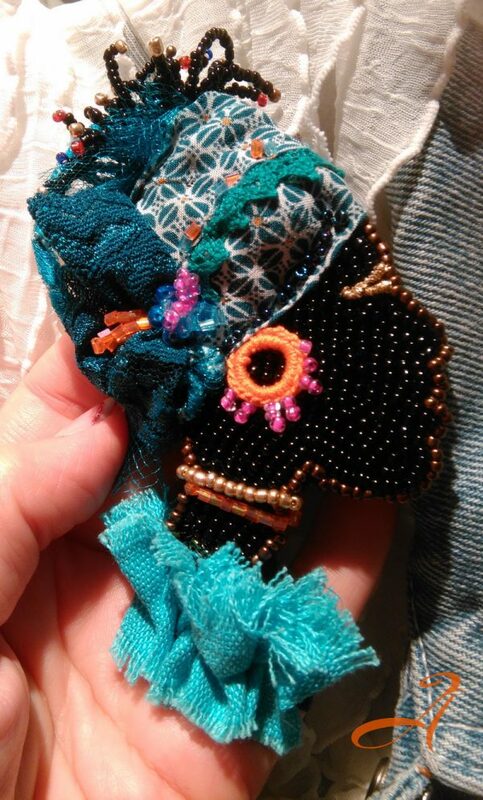 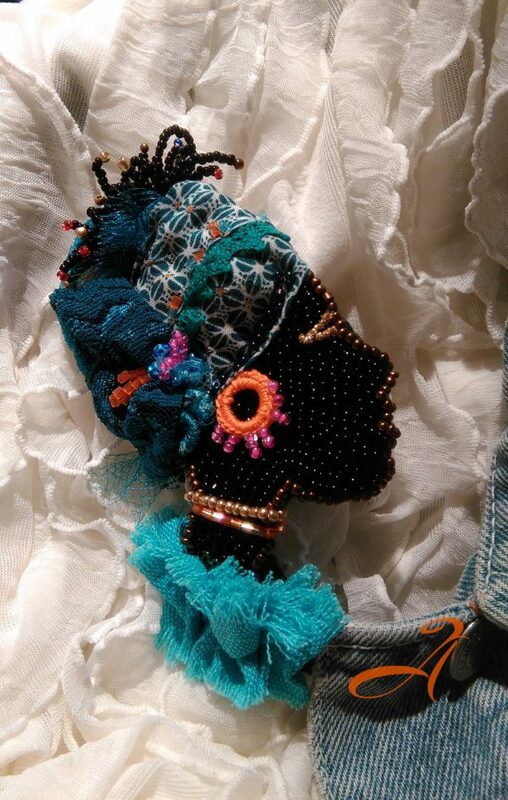 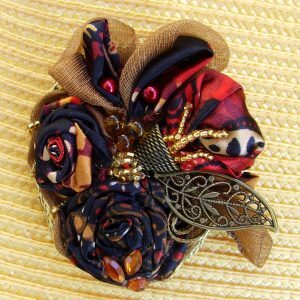 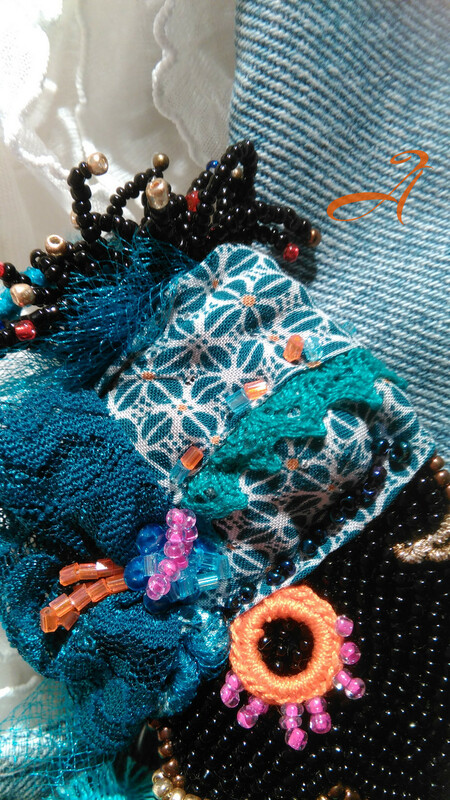 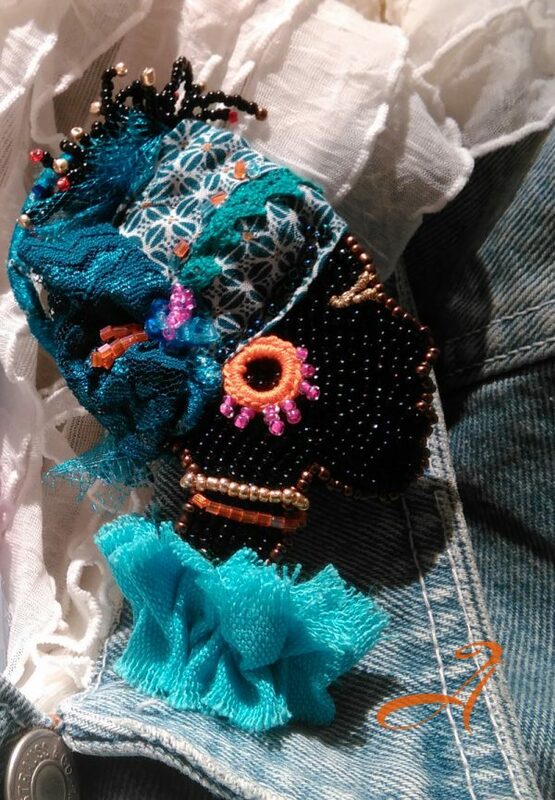 This beautiful, handmade brooch is inspired by women’s cloth head scarf that is commonly worn in many parts of Southern Africa and Western Africa. 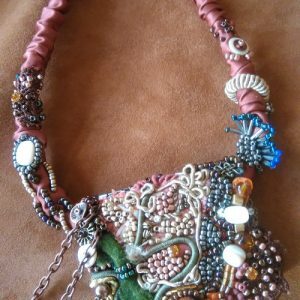 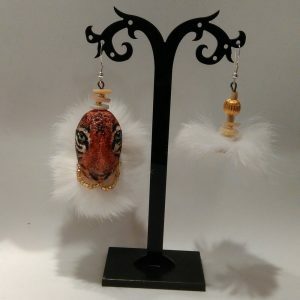 Unique fashion accessory for your sweater, suit coat or scarf. 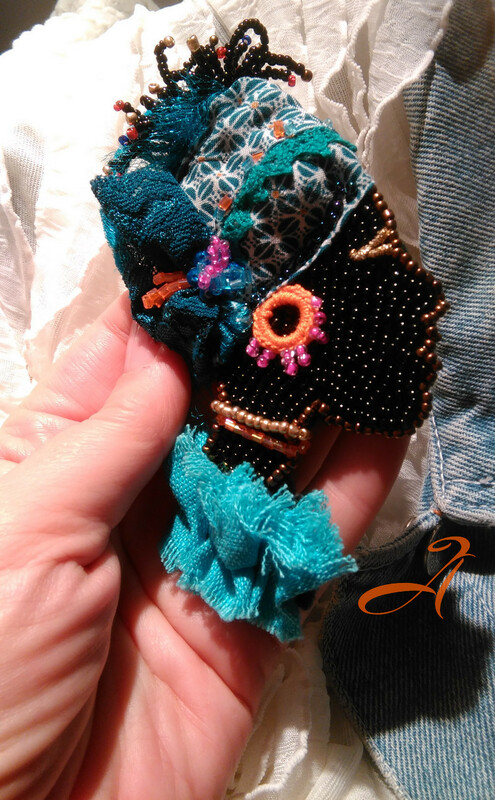 This beautiful, handmade Brooch Blue Diamond is inspired by women’s cloth head scarf that is commonly worn in many parts of Southern Africa and Western Africa.